XORRET DE CATI: Today we are still climbing at Vuelta Espana. The most interesting duel in the ranking is between Froome and Chavez. The small Colombian has been through difficult times this season, where he had an accident that he had suffered for 60 days, and then tragically lost a loved one of his staff. Not the best conditions to emerge at a high level and in fact the Tour de France was a failure. Now Chavez has found morale, legs and smile and points straight to the podium. For the success of the Vuelta 2017 it is tough because at the time trial he will lost minutes. THE STAGE: It starts from Hellín and the first 100 km are apparently flat ground. Then the athletes will find two GPMs of third category in succession: Puerto de Biar and Puerto de Onil. Along the way to the uphill to the final climb of Alto Xorret de Catí. This is a 5 km uphill, with the first easy part but in the last 3 km the slope never drops below 10% and even reaches 18%. Then the last 3 km from the finish line, with the first two downhill and the last kilometer in apparently flat ground. 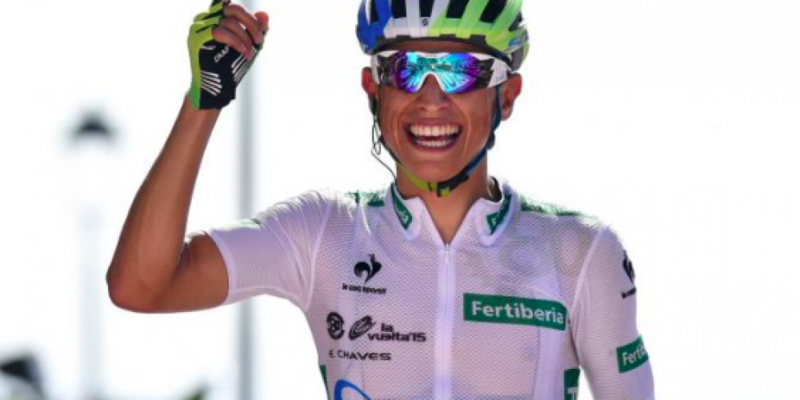 TODAY’S FAVORITES: Apart from the possible surprises as it happened yesterday, where it won the promise Matej Mohoric, today it is up to fast athletea like Chavez, Alberto Contador or Yates twins. The red jersey should aim to defend itself. LA VUELTA: There are something to say about Vuelta Espana 2017 where some organizational flaws are emerging. Inadequate information in the race, often approximate maps leaving the teams with no reliable points of reference for the cyclists , delayed medical assistance (ask Carlos Betancur for example), and still too many motorbikes among runners. It’s a pity because the cast of the race is great.